1382. Daughter of John of Gaunt, sister to the future King Henry IV, Elizabeth of Lancaster has learned the shrewd tricks of the court from England’s most powerful men. In a time of political turmoil, allegiance to family is everything. 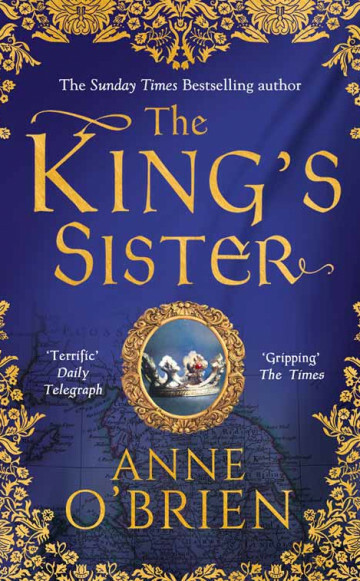 A Plantagenet princess should never defy her father’s wishes. Yet headstrong Elizabeth refuses to bow to the fate of a strategic marriage. Rejecting her duty, Elizabeth weds the charming and ruthlessly ambitious Sir John Holland: Duke of Exeter, half-brother to King Richard II and the one man she has always wanted. But defiance can come at a price. 1399. Elizabeth’s brother Henry has seized the throne. Her husband, confidant to the usurped Richard, masterminds a secret plot against the new King. Trapped in a dangerous web, Elizabeth must make a choice. Defy the King and betray her family. Or condemn her husband and send him to his death. Defiant Daughter. Desired Wife. Loyal Cousin. Loving Sister. "Set amid a fascinating period of history, this love story is epic ... thanks to O’Brien’s expressive writing, the reader can empathise with them and the sacrifices they make. This book is flawlessly written and well researched." "...packed with love, loss and intrigue..."
"a fast paced historical drama that is full of suspense." "It’s a brilliantly researched and well-told story; you won’t be able to put this book down." "It's a tale of scandal and its effects, of loyalty worth dying for and it's all put together in a beautiful, seamless and completely readable fashion. If want something different from the usual Tudor historical tales then give one a whirl as I believe that you won't regret it as it really is just THAT good!" "... evokes the spirit of the age in full colour with all the detail and drama needed to fully engage the reader. Her characters are well developed and appealingly real, their choices are not clear-cut and the consequences are devastating adding up to an exciting and intriguing story of love and historical politics." Enjoy the dynamic and dangerous medieval court of Richard II through the eyes of Elizabeth of Lancaster. It is a sweeping story that will remain fixed in your heart and in your mind.